Is there anything more delicious than a warm bowl of spicy lentil soup on a cold day? Or maybe a cheese topped chili, filled with black beans and hamburger, with cheese-y biscuits? Can you tell it is -27 C as I write this? And all I want is coziness and comfort food. And that is alright. I am being a good animals. We need the calories to survive in a place like MB. The secret is to getting the right calories! 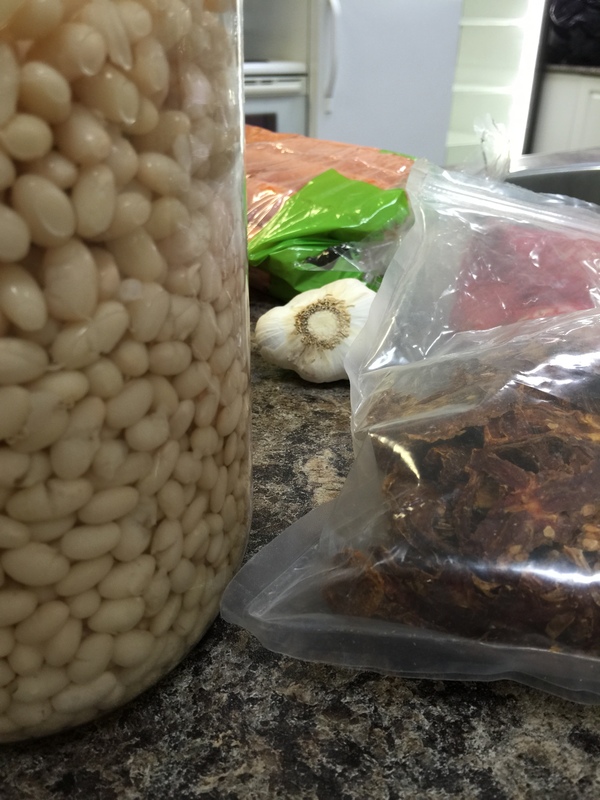 I am started making big – like BIG – batches of chili and freezing them in those take out trays you can get. Then as I am menu planning my week on Sunday morning, if I know that supper will be hectic, I plan to treat myself (and my family) to a freezer supper treat! And I thank two-weeks-ago-Reta who had the foresight to make up freezer meals ahead of time! Previous Post Cuddles and Soup! Next Post Why isn’t it always pie time?